September 15, 2016 - Saskatoon Sports Tourism and Page Sports Promotion are pleased to announce the At Last Boxing Championship Part II will take place on Saturday, October 22, 2016 at Prairieland Park. On the docket for the night will be Frank White VS Gary Kopas for the Canadian Professional Boxing Council (CPBC) Interim Cruiserweight title and Paul Bzdel VS Frank Cotroni for the CPBC Interim Middleweight title. Five other bouts will also take place throughout the evening. "We&apos;re excited to be able to host a professional boxing event right here in Saskatoon," said Dennis Page, Event Promoter for Page Sports Promotion. "It has taken a few years to get to this point but the sport has an exciting future here. We&apos;re looking forward to some great bouts on October 22nd and fans of boxing won&apos;t be disappointed!" Doors open at 6:00 pm with the fights beginning at 7:00 pm. General admission tickets are $40. Floor seating tickets are $60, with premium seating for $75.Tickets can be purchased at the door or online at tickets.saskatoonex.com. This event is sanctioned by the Canadian Professional Boxing Council and the Athletics Commission of Saskatchewan. Page Sports Promotion aims to utilize their experience as former boxers to support the development of opportunities for local athletes in Saskatoon and Saskatchewan. For more information, contact Dennis Page at (306) 227-9941. Saskatoon Sports Tourism was created to guide the attraction, retention and creation of sports tourism activities in Saskatoon. 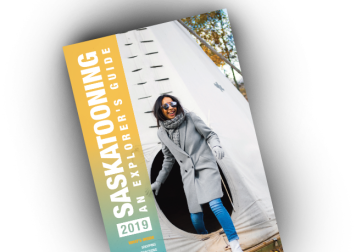 Saskatoon Sports Tourism assists event organizers to locate local suppliers, sports venues, and hotel accommodation, and helps increase local awareness and attendance at events. For more information, visit www.saskatoonsportstourism.com.